I’m just finishing a fascinating trip to Singapore, where I gave several lectures on archaeology (including to the Singapore Bible College and the Southeast Asian Ceramic Society). During my stay, I managed to tour around many of the beautiful sites in this small state – which is highly recommended for a very interesting visit. Among other places, I visited the superb Asian Civilizations Museum (highly recommended!). 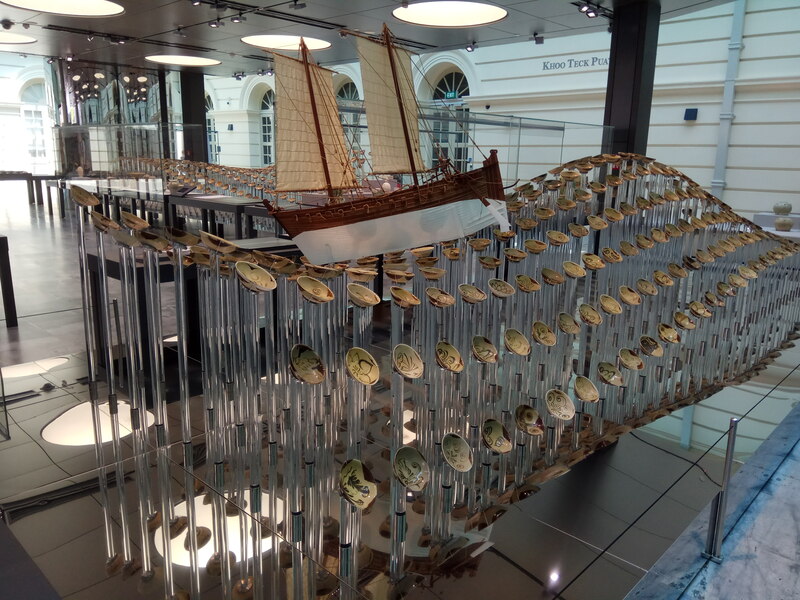 One of the star exhibits at the museum are the finds from a shipwreck, dating to the 9th century CE – known as the Tang Shipwreck. This is the wreck of a ship that first set sail from the Persian Gulf, during the time of Abbasid Caliphate in Baghdad, en route to Tang Period China, and then, on the way back, after loading up a cargo of mainly Chinese ceramics, made its way back towards the Persian Gulf. But when it was passing thru the Java Sea, east of Sumatra, it sank. 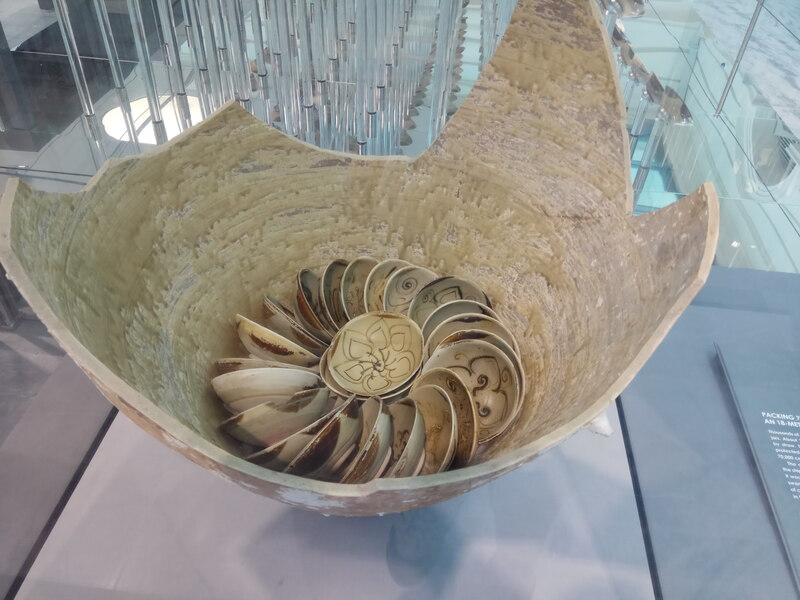 Excavations of the wreck produced an extraordinary collection of well-preserved finds, the vast majority being Chinese ceramics of various kinds, including 60,000 (!!!) identical bowls that were tightly packed in larger ceramic jars (see pictures below). Among the various finds there was also evidence of the multi-ethnic character of the crew, which included sailors from the Levant as well as from Eastern and South-Eastern Asia. 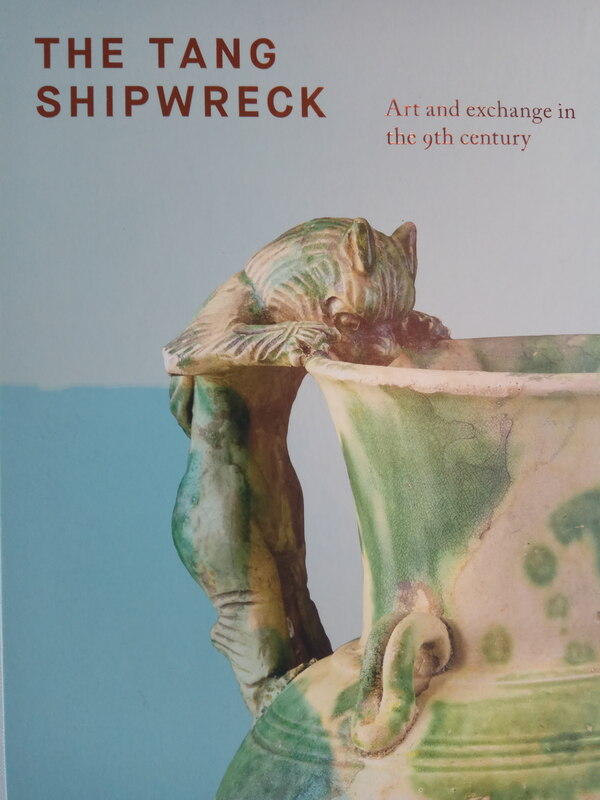 I purchased a copy of the very nice catalogue (see a picture of the cover below), beautifully illustrated with many very interesting chapters of a broad range of topics relating to the ship, the related cultures and the period. While dealing with periods and cultures that are not often discussed on this blog, the uniqueness of the finds, the very nice evidence of long-term trade, and very attractive exhibit, warrant their mention! And while in early periods there is no evidence of such extensive finds from the east in the Levant, the possible evidence of the trade in Cinnamon, found in Iron Age contexts, indicates that long-range trade of such distances, did already exist in earlier periods as well. Online registration for the 2019 season is open!